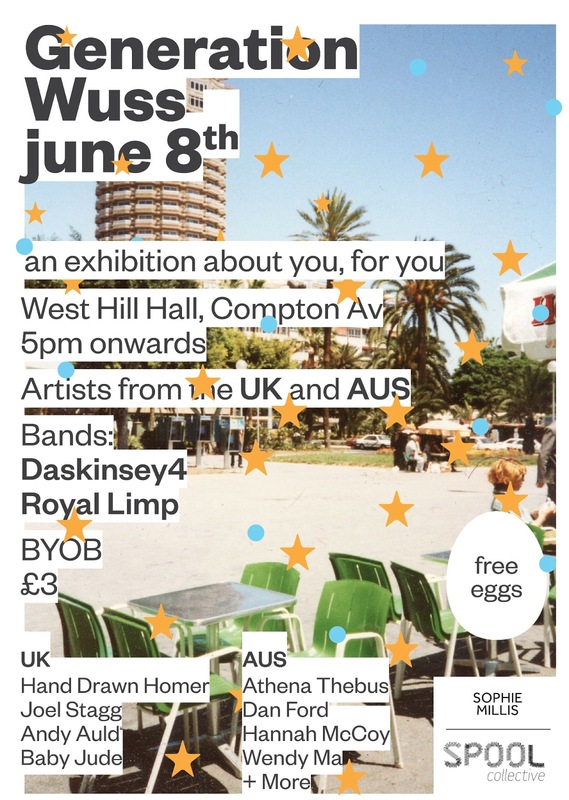 Spool Collective and Sophie Millis proudly present Generation Wuss - a multi-arts exhibition exploring the syndrome of being young now and cyberspace-pop-culture-friendly. A handful of handpicked independent UK and Australian artists will coalesce to talk hard times and hard drives of what it means to be US. A myriad of mediums from print, photography and gifs, to illustration, collage and music will dissect the subject matter to find a middle ground between what feels like a gaping hole of dread and the glamour of pop culture.